Can we keep it from happening again? 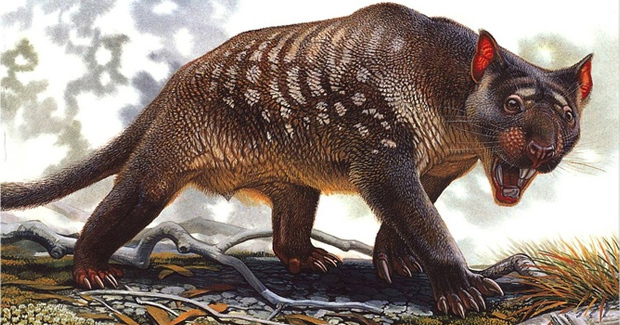 Researchers from Monash University in Victoria, Australia and the University of Colorado Boulder have recently made a significant discovery regarding the extinction of Australia’s megafauna. New evidence was gleaned from a sediment core and the presence of spores from a fungus that thrived on the dung of the massive herbivorous mammals which once roamed the land. The extinct animals included giant kangaroos weighing in at 450 kg (1,000 lbs), large lizards measuring over 7 m (25 ft) long, and tortoises as big as small cars. The core extraction allowed the team to see what Australia would have looked like 150,000 to 45,000 years ago. The spores came from a fungus known as Sporormiella, which are still abundant today in the dung of grazing animals, and the presence or absence of the spores gives insight into what fauna looked like during that period. “The abundance of these spores is good evidence for a lot of large mammals on the southwestern Australian landscape up until about 45,000 years ago,” said Professor Gifford Miller, professor in the Department of Geological Sciences at UC Boulder, “Then, in a window of time lasting just a few thousand years, the megafauna population collapsed.” More than 85 percent of the animals weighing over 45 kg (100 lbs) went extinct, and the arrival of the first humans are to blame. 50,000 years ago, the entire continent of Australia was colonized by the first humans to inhabit it. Evidence of burned eggshells, which were uncovered last year by Millar, point to these humans preying on the megafauna of the land. Previously, scientists thought the extinction was more closely linked to climate change, but Miller now attributes human “imperceptible overkill” as the culprit. A study from 2006 shows that even low levels of hunting during the time of the first humans in Australia would have been enough to wipe out entire species. If each human killed one young mammal per decade, it would only take a few hundred years before that species were to disappear. There was no way for the early humans to know the consequences of their actions. Today’s humans are not able to enjoy the same ignorant bliss. Advancements in science have made it possible not only to see the effects of the choices we have made in the past, but we can also extrapolate to get a glimpse of the future. We are currently in the midst of the most human influenced period in the history of the Earth, the Anthropocene. We can either take the knowledge that we have gathered as a call to action so we can prevent the extinction of animals like the cheetah, or we can ignore the writing on the wall and allow for yet another mass extinction. It’s no surprise that the biggest mammals would once again be the first to go.